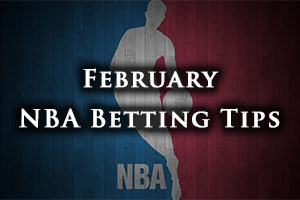 Monday night got the new week of NBA action off to a flying start and we’ll review those games before heading into our Tuesday night previews. The Heat held on to defeat the 76ers in Miami, winning a score of 119-108. The Bulls also managed to hold on in a game with far fewer points, defeating the Bucks by a score of 87-71. The Celtics grabbed a big win on the road, defeating the Suns by a score of 110-115. The Jazz grabbed a win against the ailing Spurs with the team from Utah notching a 90-81 home win and the Pelicans also grabbed a home win. There was a party in New Orleans as the Raptors slumped to a 100-97. The Rockets found form at home to the Timberwolves, downing the Minnesota side by 113-102. The Nuggets had a bad night at home, losing 82-110 to the Nets and the Clippers also struggled at home, slipping to an 87-90 defeat to the Grizzlies. The Cavs are looking to grab a 17th win in 19th games, but they will be taking on another team that has made big improvements after a poor start to the season. The Detroit Pistons may not have achieved the number of wins that the Cavs have obtained this season but when you take on board the horrific start the Pistons suffered, they have performed well to turn it around so well. Heading into this game, the Cavaliers hold a 32-55 record which includes a 14-13 record on the road. The Pistons hold a 23-33 record, which includes a 12-18 record at home. Both teams have a winning streak of 2 and the Cavs are 8-2 in their last 10 outings while the Pistons are 6-4. The Cavs have an advantage in both average points scored and average points allowed. The average points scored comparison stands at 102.6 to 98.4 and the average points allowed comparison stands at 98.8 to 99.4. The Cavs have concerns over Kevin Love and Shawn Marion while the Pistons are likely to be without Cartier Martin and Caron Butler while Reggie Jackson and Tayshaun Prince are being closely monitored. 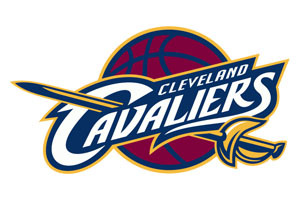 The Cavs won away to the Knicks on Sunday night, winning 83-101 and the Pistons won at home to the Wizards on the same evening, winning by 101-83. Taking the Cavs with a -6.5 handicap, and odds of 1.90, looks to be a good bet for Tuesday. Bet Now! The Thunder know that they are going to be without Kevin Durant for another spell but they are on an impressive winning run at the moment which they will look to continue. This won’t be easy because they are against a Pacers side who look to be as strong as they have been all campaign with respect to their squad. The Pacers hold a 23-33 record this season with a road record of 11-19. The Thunder hold a 31-25 record so far this campaign, which includes an 18-8 record at home. The Pacers have won their last three games, holding a 7-3 record in their last 10 games while the Thunder hold a 6 game winning run and an 8-2 record in their last ten outings. The Thunder hold the advantage for average points, 101.2 to 96.2 while the Pacers have a slight edge for average points allowed, 97.2 to 98.6. The Pacers are likely to be without Lavoy Allen while Rodney Stuckey is a concern and the Oklahoma City Thunder will be without Kevin Durant. Indiana defeated the Warriors at home on Sunday by 104-98 while the Thunder triumphed against the Nuggets by a score of 119-94. Taking the Pacers with a handicap of +7, at odds of 1.90, is likely to be a decent bet for Tuesday. Bet Now! The Warriors started their 6 game road trek with a defeat in Indiana but they will feel that they can get back on track against a Washington side that is badly losing its way. The Warriors hold a 43-10 record this season, which includes a 19-8 record in the road. They travel to Washington to take on a Wizards side with a 33-23 record, including a 20-9 record at home. The Warriors lost their most recent game, holding a 7-3 record in their last 10 games while the Wizards have lost three on the bounce, holding a terrible 2-8 record in the last 10 games. The Warriors hold a big advantage with respect to average points scored, 110.3 to 99.3 but the Wizards have a slight advantage with respect to average points allowed, 98.0 to 99.7. Stephen Curry is being closely monitored by the Warriors while the Wizards have Bradley Beal likely to miss out while Kevin Seraphin is being monitored on a daily basis. The Warriors lost out in Indiana by a score of 104-98 on Sunday while the Wizards lost in Detroit by a score of 106-98. The Wizards need to get back on track at some point but you feel the Warriors will be too strong on Tuesday. Taking the Golden State side with a modest negative handicap will help you to get a decent return for your time and money. Bet Now!